Squirrels can cause quite a lot of damage to your home, put you and your family in risk of dangerous diseases, and become a nuisance in your house. This is why preventing them from even getting into your home is so important to keep you and your family safe, but what about our pets? To make matters worse, many repellents are made out of toxic ingredients that may work in keeping the squirrels away, but often negatively affect your pets, which is why we bring you some of the best squirrel repellents that are safe for dogs. Before you buy into expensive, super specific product that claims to get rid of squirrels, remember that these little animals are rodents, and thus, any kind of rodent repellent will work for them just as well as they might work for rats and mice. 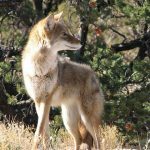 Rodent repellents can range all the way from store bought to home made, and some can be a lot fancier than others, so let’s take a look at the most used repellents that are completely safe for your dogs. Instead of poisons your dog might eat or traps that could harm it, choose a repellent spray to keep squirrels away. You can usually find these at the store, and what makes the great is that some are made out of completely harmless ingredients that only emanate a strong smell that is completely unattractive to rodents, such as rotting eggs, garlic and safe chemicals, and works wonders in deterring them from your home. The strong smell of these repellents make them ideal as outdoor squirrel deterrents, and are completely safe to spray around your plants, crops and pets. One of the best dog proof squirrel repellents is that which you can make yourself. If you’re wary of the chemicals your puppy might accidentally ingest by licking squirrel repellent, you can make your own spray based out of cooking spices. Powdered spices like cinnamon, cayenne pepper and turmeric are great for keeping all sorts of rodents, including squirrels, away just by smell. You can mix all these spices in spray bottle with some water, oil and a bit of dish soap to add a chemical element; spray it indoors and over the places where you find might squirrel nests, like the attic, once you make sure you’ve vacated it of theses rodents. These are undoubtedly the best squirrel repellent that is safe for dogs that you can find right now. 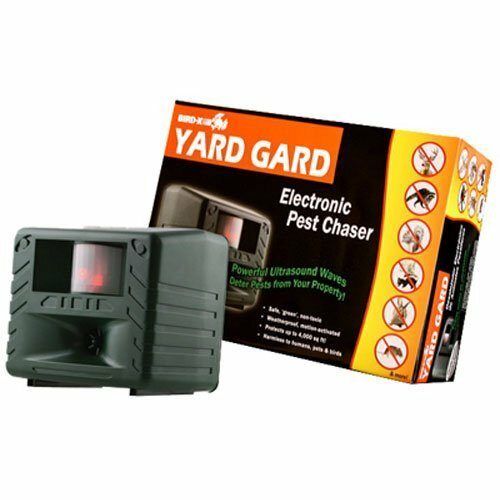 They not only work on squirrels, but all kinds of rodents, small animals and insects, making them the ideal deterrent to use inside your home. An ultrasonic repellent is a small device that produces sound frequencies above 20 kilohertz, which cannot be heard by humans but are perceivable to animals to varying degrees. While cats and dogs cannot be affected by these sounds, they do work as repellents for smaller animals such as rats, mice and yes, squirrels. 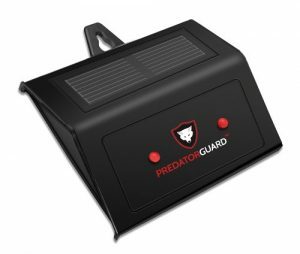 These devices can be placed outdoors or inside your house, and some can be set to produce different types of frequencies to repel different animals. For example, the most effective one for squirrels consists of pressure waves, which keep a consistent sound barrier that keeps these rodents away. Ultrasonic repellents are completely safe for cats and dogs alike, although you might want to be careful if you have rodent pets like hamsters, since these can be affected by the device. One of the biggest benefits of an ultrasonic repellent is that it allows you to significantly reduce the use of chemical deterrents that might be harmful to kids and pets, and prevents squirrels from taking residence inside your house, thus saving you the investment of setting a trap. 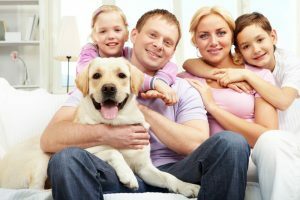 These are the reasons why an ultrasonic deterrent is definitely one of the best investments you can make when it comes to squirrel repellents that are safe for dogs, children and your entire home. ← Best Raccoon Trap Bait To Instantly Attract Raccoons!